Encapsulated by two small headlands, Trinity Beach is a dream stretch of sands just a little to the north of Cairns. It's much-loved by visitors and locals - and we're in that latter category. If you're travelling with a larger party of family, we have a selection of incomparable luxury Trinity Beach apartments on offer. Below you'll see some of those and they're the ultimate statement in spacious holiday lifestyles. Let us find one that's just right for you. Marlin Cove Resort has the only sandy lagoon pool in Trinity Beach as well as a newly updated lap pool, spacious grounds, easy access to Apartment from car and has pet friendly accommodation available. Trinity Beach is a favourite with local families who love the relaxed vibe, the beach and the great, natural children's play area at the southern end of the beach around the rocks and under shade. 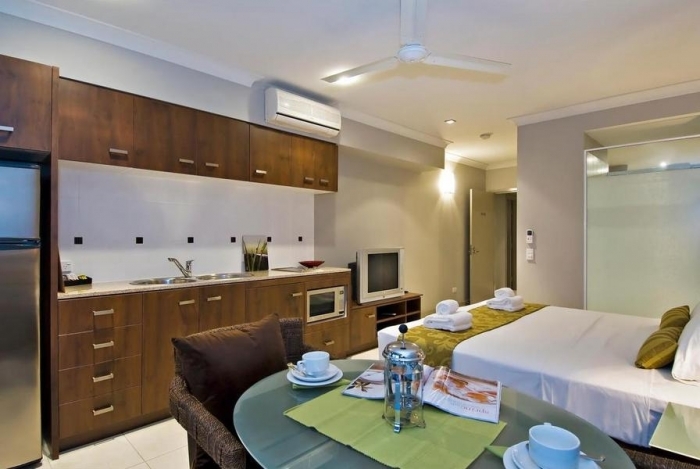 Style: 32 fully self contained spacious 2 and 3 bedroom holiday apartments. Key Features: All of the apartments have air conditioning and ceiling fans throughout. The apartments are extremely spacious with huge living areas. Overlooking sunbleached Trinity Beach and set against a magnificent backdrop of the Rainforest, On The Beach comprises 45, 4 Star quality one, two and three bedroom apartments - from the less expensive garden view to the absolute beachfront apartments with magnificent beach and ocean views. 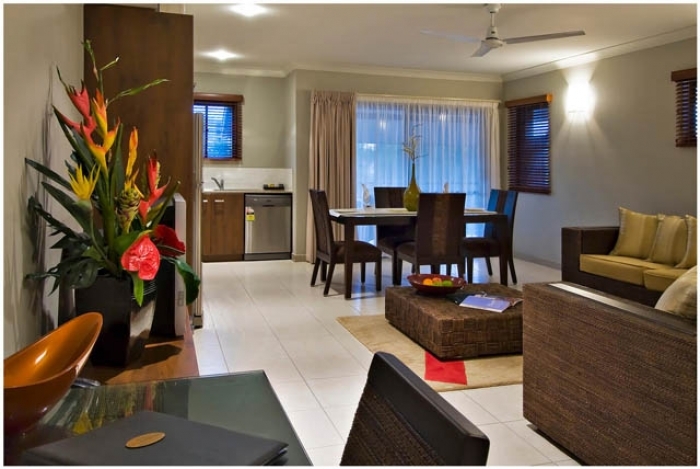 All thoughtfully designed and appointed to truly capture North Queensland's tropical lifestyle. 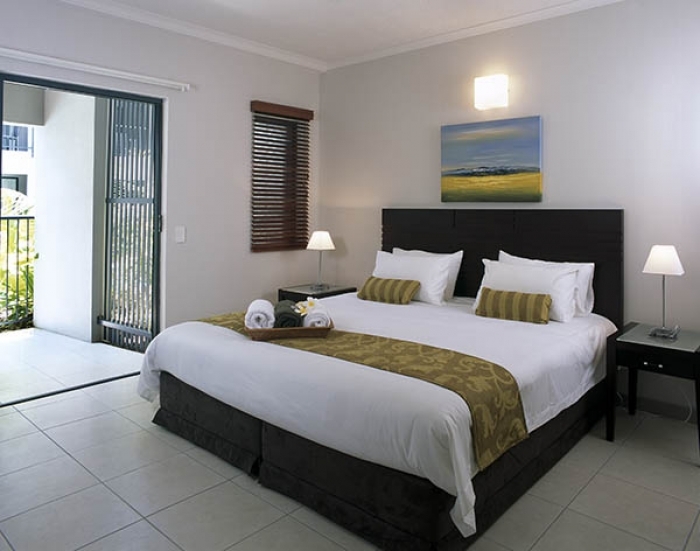 The only way to find the best Trinity Beach accommodation is with the help of local experts. 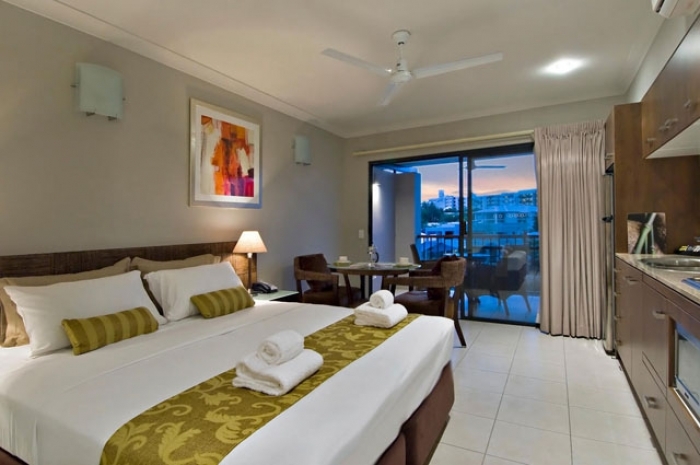 That's why FNQ Apartments should be your first port of call for information on all Far North Queensland holidays. Our unrivalled local knowledge means we can offer the apartments and deals that others can only dream of making available. Let us prove that to you. Just call or email us for further information on any of our properties and let us do the rest.